This place doesn’t come with utilities? Rent only includes garbage collection? I might as well take the garbage out myself. There’s not even a shower door and this is supposedly the “nice” remodeled unit. Plus, it’s small — but everything is going to be small when you are living with a 6-foot-9 man. Still, the floor creaks, like my grandparents’ house, and I don’t want to live in my grandparents’ house. I watch my fingers trace over the clean countertop to hide my face from the landlord whose unnerving gaze expects an immediate answer to his offer. “I’ll talk it over with my roommate and we’ll let you know soon,” I say with a polite smile, even though I already know the answer is a resounding “no.” He nods and turns his head slowly around the room, spots some mail in the far corner and picks it up. I have no doubt the landlord is reasonable. But seriously, no water and electricity in the monthly rent? Doesn’t he know that students could live here? His eyes are fixed on the coupon section of the paper as I usher myself out the door. We part quickly, neatly, as if a surgeon’s blade has thinly sliced open the space between us. “That apartment was too far away anyway,” I murmured to the feathery pink, blooming roses in someone’s front yard as I began my walk back to Unit 1. “Bloom where you are planted,” read the rectangular sign on the gate. Sure thing, as long as you have a patch of dirt, access to water, a daily dose of sunlight and a plentiful supply of fungi to dispose of your waste. And even then, you may struggle to grow, just as the flower may fail to bloom. I walked along a row of houses lining Willard Park. There was a man setting up yellow cones for a sports game, a single woman with lots of children on the playground and a person underneath a tree in what appeared to be meditation. The wind swooped in the awkward space between my jacket and my shirt and teased wisps of hair out of my tight bun. “I think I should just be a vagabond.” I said this to myself casually, like I was telling myself that I should actually become a vegan, not just avoid cheese on a daily basis. I think I could exist without a permanent home. I could live in Willard Park. The grass is good enough for meditation — how bad could it be for sleeping? I could play ultimate frisbee in the afternoons and build a shelter in the playground when it rains. Maybe I’m better off planting myself wherever I go instead of attaching myself to, or becoming dependent on, one specific place. Maybe if I’m constantly moving (even if just through Berkeley), I could really, truly grow into something I never thought I would be. As I wove my way through the streets of Berkeley suburbia, I considered this idea of self-induced “homelessness” more seriously. Some houses were brown and shingled, and others were painted in pleasant, homey tones such as olive green and navy blue. All those houses were still picturesque and lovely, but I knew that behind their shiny windows lay mortgages and loans. Having an address means credit card statements come in the mailbox and Alameda County will know where to find you if you don’t pay your property tax. I’m sure dogs urinate in the front yard, and there’s probably a termite empire lurking under the porch, too. If I didn’t have a home, I considered with a sly smile, I could escape all that! I felt my eyes squint as I turned the corner into a patch of sunlight. The wind picked up again and peeled my clothes away from my skin. I was almost halfway to Unit 1. “I think I should just be a vagabond.” I said this to myself casually, like I was telling myself that I should actually become a vegan, not just avoid cheese on a daily basis. I can’t let my nomadic state get in the way of my studies, though, I thought. I am lucky to have the resources to singularly transform just my physical living situation while leaving the rest of my life untouched. I have a backpack that can hold my computer, my phone and their chargers. I can use one notebook for all of my classes. My school ID will get me into the RSF, and that’s where I’ll shower. I’ll live in the libraries: I will make a life for myself in the sterile morgue that is Main Stacks. If I buy a portable iron, I can iron my uniform for work in the ASUC building, which means I can keep my job. I have a sleeping bag, but if it rains, I can be a stowaway and bunker down in a nap pod for the night. I already prefer sleeping on the floor as it is. I can surely survive on one pair of shoes and my red-beet Keens, and rarely do I ever brush my hair. Heck, I’ll just chop all my hair off! “And I love walking,” I gleefully admit, my pace quickening. I walk practically everywhere. Yes, yes, this will work. I will walk everywhere and be homeless and — BLEEEEEEP. A horn blared, the driver’s frustration flared up and out the windows, and I stepped back onto the curb. Perhaps if I rejected the conventional means of sheltering myself, I’d finally learn how to move gracefully between spaces, to occupy the exact place where I am and not where I think I should be. The red hand suddenly disappeared and the white geometric figure appeared, with its splayed-out limbs and repetitive tick-tick-tick. This would become the rhythm of my days, I fantasized, as the residence halls begin to appear on the horizon. The ticking of the crosswalk, the wheezing of the environmentally friendly buses, the deafening mania of frat row spilling out into the cool air on a Saturday night and the scampering of squirrels on the trunks of trees and concrete alleyways. I would become a part of the city; I would be living, breathing, sleeping, wandering, despairing, hoping in its avenues and traffic jams, the grimy BART station and the pristine hills to the east. Being homeless would allow me to toss away what feels like a singular identity — that of studenthood — and embrace something infinitely larger, more chaotic and more frightening than I ever have before: that of a wanderer in a place I know to be my home. There was something so alluring about that, the idea of the perspective I’d gain. I’d have to learn to take care of myself on the basic level before I could worry about the profundities of my existence. I’d have to rethink myself and my place and what it is I care about in the world. But this idea, this is so naive and foolish, I nervously realized as I approached Durant Avenue, the street where Unit 1 is located. My life is good. My parents love me. I’m going to college with my best friend by my side. I have clothes, shoes and positive thoughts in my head, and I seem to have escaped the curse of the “freshman 15.” I think I deserve part of this goodness: I work hard, I try to prioritize people over things, I remember birthdays and I write letters to my grandma. I’m not used to grime. I have never been, to my knowledge, a victim of social stigma. I can’t imagine what I’d do — I saw my residence hall ahead — if I were confronted by the police for trespassing or loitering or for simply being an inconvenience. The fact that I even have a choice to be without a home makes it so blatantly obvious that I am a product of a privileged life, that this entire notion is just a daydream, purely a romanticized distraction from a real housing crisis that afflicts the entire Bay Area and deserves a sustainable solution. 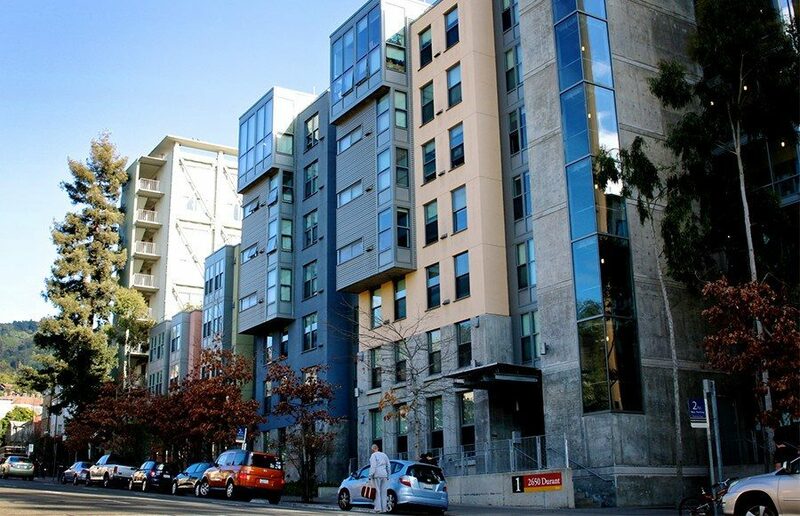 Research from UC Berkeley’s Urban Displacement Project indicates that more than half of the low-income households in the Bay Area region are either at risk for displacement or have already experienced it. And mental illness has a stake in homelessness; public health experts estimate that at least one-third of San Francisco’s homeless population suffers from mental disorders such as schizophrenia or bipolar disorder. Who was I to use voluntary “homelessness” as a means of giving my life a greater philosophical purpose, especially when so many others are forced into this situation? Pausing in my steps, I swung my backpack around and fished my key out of the front pocket. “But that’s what college is for right?” I said out loud to myself as the key clicked the door open. Making a choice to give up a life of stability and embrace something so foreign to me seems like something that has to happen in college, even though my experience could never match the reality of homelessness. If I don’t take a leap, then I’m not taking advantage of everything. I’m not pushing myself enough. Everyone at Berkeley is doing something. And maybe this is what I need to do. I want to grow; I want to become something! Conviction boiled up inside me as I began to climb the stairs to my room. The walls of the stairwell were cold and smooth. Sunlight filtered through the blurry windowpane. The steps appeared one after the other, all identical, with no intention of ever ceasing. I had already taken this route to my room so many times. I pushed open the door to my residence hall room and slung my backpack on to the carpeted floor. Marissa, my roommate, napped on her bed. The room was clean. Someone must have vacuumed. The chair I slumped into was not comfortable, but the angle it made with the desk cradled my right elbow so gently that I couldn’t help sighing with pleasure. Who was I to use voluntary “homelessness” as a means of giving my life a greater philosophical purpose, especially when so many others are forced into this situation? I think that what I wanted out of this vagabond idea was to feel strong in myself. My mom has always said that I need to be self-sufficient, but last spring, I felt dependent on the generosity and good-naturedness of landlords, the future opportunities I believe a degree will bring me and the material possessions that clutter my residence hall room — photos, books, calendars with inspiring quotes and clothes that sit in drawers most of the time. I did not want to sever these roots, but I desired to be uprooted. The strength I have today is not the result of staying in one place. I desire to be in a state of going, moving, changing, with roots growing within me, sustaining me. I see myself becoming reliant only on what I can carry. But even more than that, I become what I carry and my strength will come from deciding what to carry and what to leave behind. There was no more breeze as the hot sun had arrived for the afternoon. My phone rang. It was Bryce. “Hey! I think I found a place on Oxford Street. It’ll be way closer than the one you just looked at,” he said enthusiastically. I breathed in sharply and my jaw clenched. My eyes peered around the room, looking to see whether someone would appear out of thin air to hold me accountable. It was an absurd idea anyway.